Cirsium discolor.commons.wikipedia.org (Accessed 5/2014). (Accessed 5/2014). 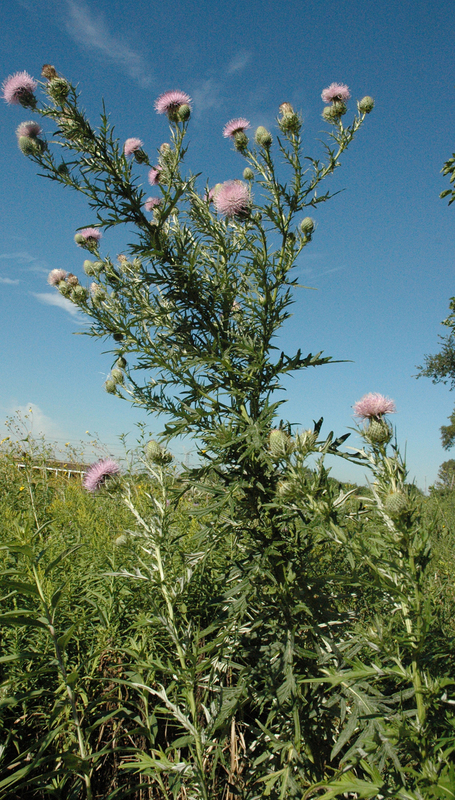 Cirsium discolor spiny biennial or perennial, herb, second year stem 1-2 m tall, branching near top, usually hairy but not wooly, finely ribbed but not winged. Cirsium discolor leaves. © 2009 k. chayka. Minnesota Wildflowers. minnesotawildflowers.info (Accessed 1/2018). 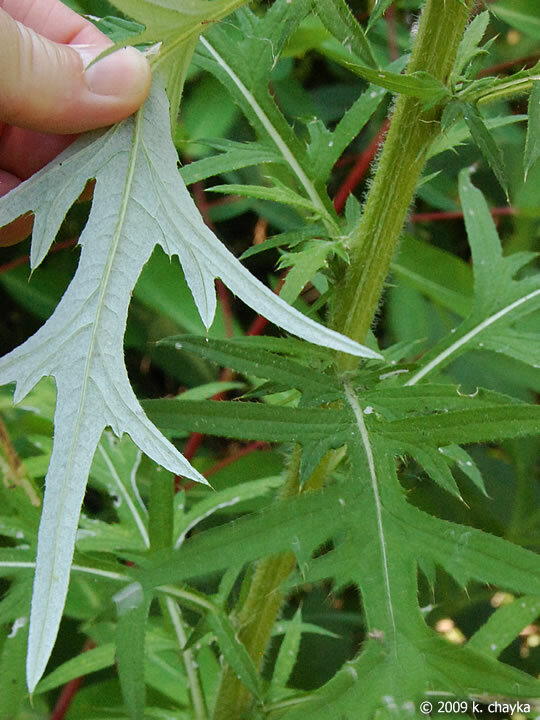 Leaves alternate, stalked, those of first year a rosette, blades to 50 cm long, 20 cm wide, stem leaves becoming progressively smaller above, stalkless, numerous deeply pinnately lobed, lobes spine-tipped, white, wooly below, dark green, slightly hairy above, small upper leaves closely surrounding base of flower heads. Cirsium discolor flower head. © 2009 k. chayka. Minnesota Wildflowers. minnesotawildflowers.info (Accessed 1/2018). Flowers purple, all disk flowers, tubular, radially symmetrical, in heads with bracteate base 2-3 cm long, urn-shaped, bracts narrow, densely overlapping, tips of inner bracts colorless, elongate, flower heads usually solitary; blooming July-Oct.
Fruit dry, 1-seeded, white-plumed, wind dispersed through winter. 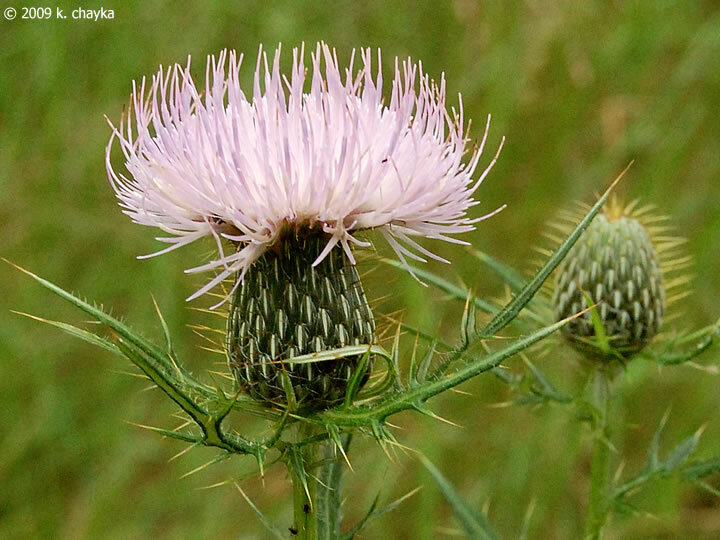 Habitat: Open areas, meadows, fill, roadsides.